Hello my lovelies! Today's post is really late but I've got a good excuse for that. I've been feeling a little off this weekend and I'm not too well today either. I still wanted to get this post out because it's a tradition. It's gonna be a short one though because I'm not very talkative today. Here are the nails. 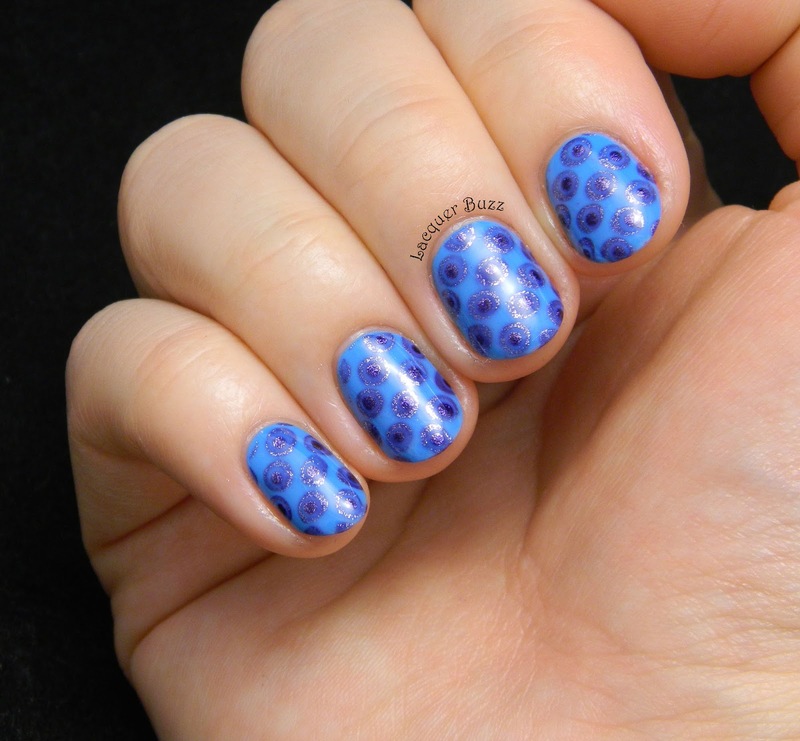 The idea for this manicure started from an image from plate BP-L006. It has large dots that are very densely placed. 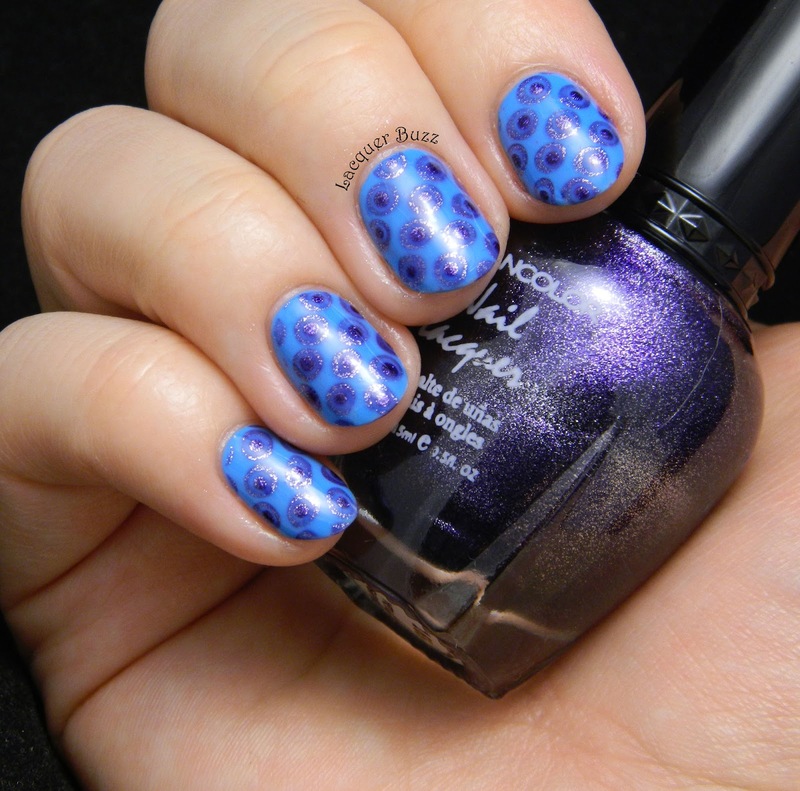 I used OPI No Room For The Blues as a base and stamped the design using Kleancolor Metallic Sapphire on top. After that I just took my dotting tools and made smaller dots inside the large ones using the same two polishes. I finished everithing with top coat and voila! I'm not sure if the result is exactly what I had pictured in my head, but I like it. Let me know what you think of it! And check out the rest of the Monday Blues in the links below. Love this Mihaela!! Feel better soon. Very retro indeed. Hope you feel better soon!